If you’re hankering for some crystal clear answers on just how well your social media marketing efforts are going, one thing you need to really master is your Instagram analytics. Which, if you’re on this website… I’m just going to assume it is! 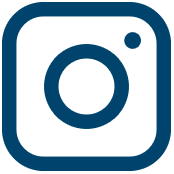 Instagram business profiles get access to Instagram audience analytics inside the app itself, but they can often be a little tricky to review and using your phone that much can give you ‘Instagram wrist’ if you aren’t careful. 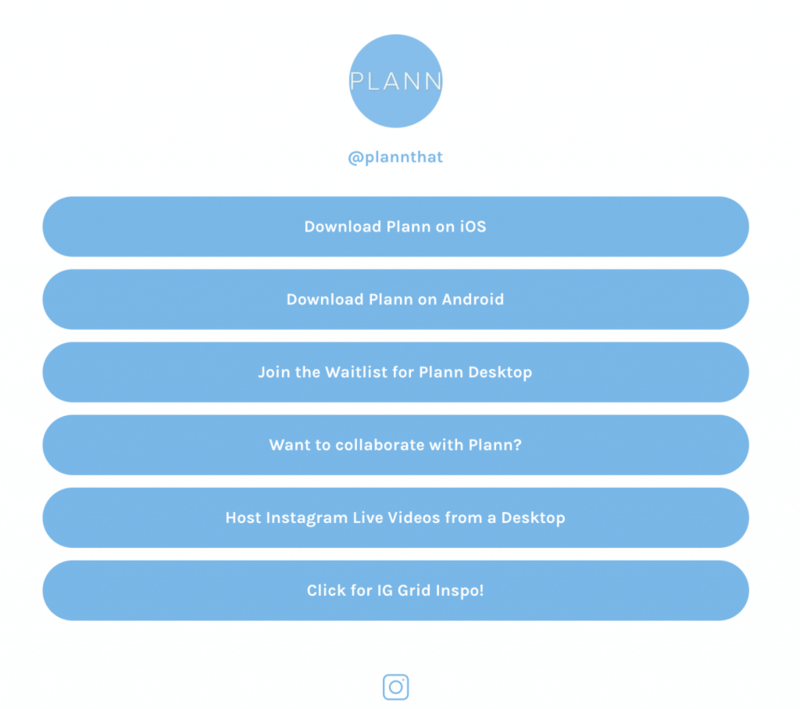 With Plann desktop you’ll be able to instantly review your Instagram analytics for your posts and stories, and inside the Plann app you can get extra cheeky and review the Instagram analytics of your competitors. Keep on reading for a full rundown on which Instagram analytics you should keep an eye on and how you can do just that. 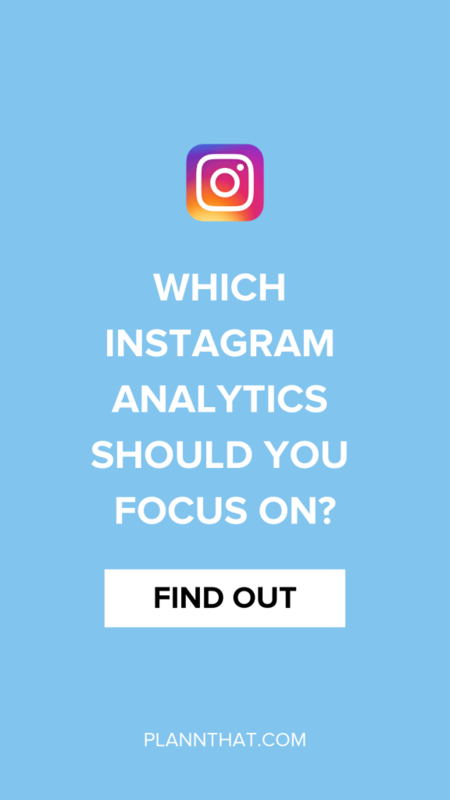 Which Instagram Analytics Should You Pay Attention To? This may cue an eyeroll, BUT, I have to say it. 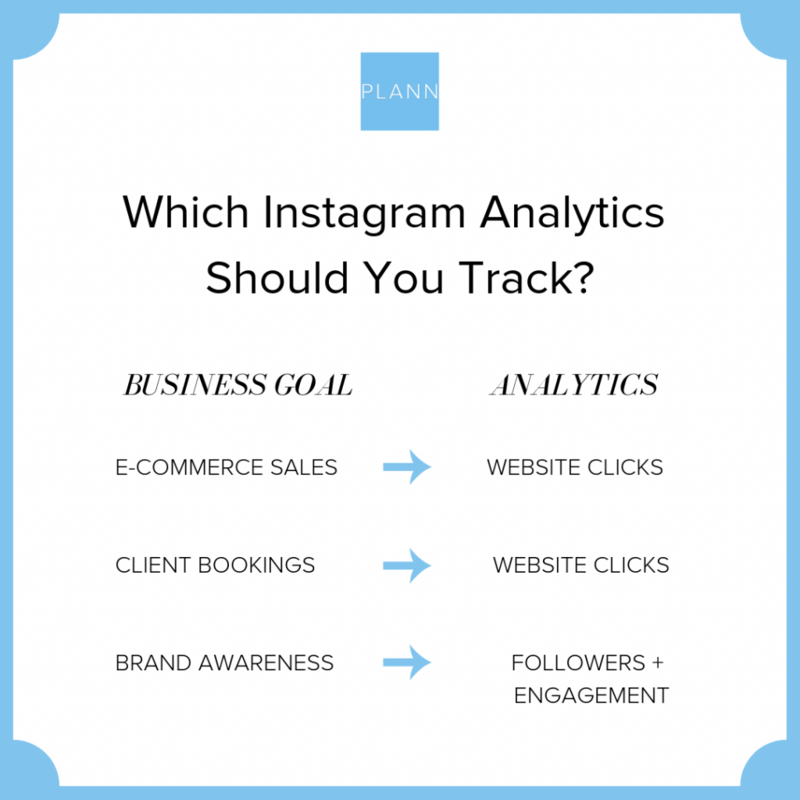 Depending on what your goals are with Instagram, you should be tracking different metrics. If you have an e-commerce brand or even SaS like us at Plann, you are probably wanting to get most of your Instagram audience to head on over to your website and make a purchase. Of course you can track this with Google Analytics and with a Facebook pixel if you are doing any e-commerce paid advertising, but one Instagram metric that you can keep an eye on is your website clicks. You can find out through Instagram analytics how many website clicks you received on your Instagram Stories as well as from your Instagram grid posts. How awesome is that? Oh and would you look at that… find out your website clicks brought in by your grid posts inside Plann desktop! Click here to create your free account today. Who doesn’t want to be able to check their info from an Instagram analytics website, right? As a service-based business Instagram can be an incredibly powerful tool for growth! I myself used to be an Instagram Marketing consultant and most of my client bookings came through the link in my Instagram bio. At the time, I really loved using the tool Acuity Scheduling so that potential clients could book in anything from a free initial consultation all the way up to a full Instagram Strategy session – Acuity links in with Paypal so it is a fantastic tool for not only gathering booking info, but also for making sure you get paid! 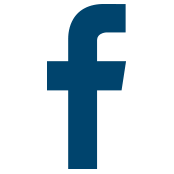 Perhaps you have your own online booking system that comes with a link that you can share on social media to take people directly to your booking page. Make sure to use that in your Instagram bio so that you aren’t just getting people excited and then leaving them hanging! Help your customer journey to become shorter and easier by including a direct booking link. If you want to have a really well set up Instagram account that helps you to not only drive bookings, but also, to help increase your email list size and blog page visits… set up a Linktr.ee account. At the time of writing, this is what the Plann Linktr.ee looks like! Basically what this tool does is it allows you host multiple links within your Instagram bio description and if you upgrade to a paid plan? You’ll get analytics so you can see how many clicks each button receives. Right now you may actually want to get a combination of increased brand awareness and increased bookings/sales with Instagram – that’s totally natural! If that is the case, then keeping a firm eye on your follower count and engagement rate on your individual Instagram posts is very important. It also pays to keep tabs on your Instagram Stories and how many ‘actions’ are taken from them; whether it’s overall responses to your polls or clicks through to your grid post, seeing your audience ‘take action’ from stories means that they aren’t just passively watching them… they’re actually interested in what you’re doing! Now before I send you off into the big ol’ world with this info, I want to show you how you can get the instagram analytics for other accounts that aren’t yours. 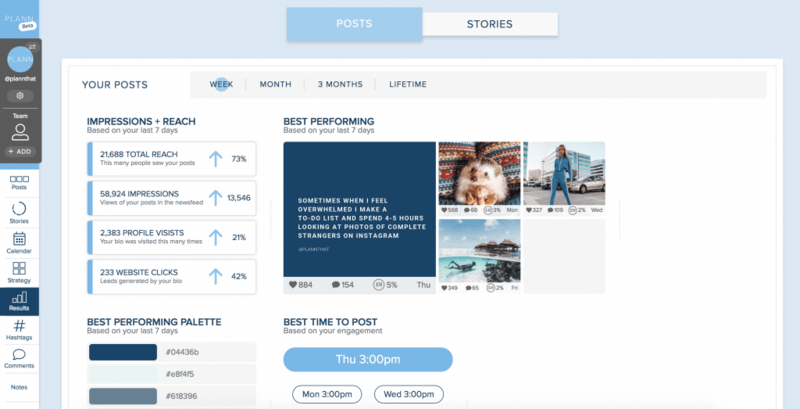 This tool is really handy for Influencer marketing as you’ll be able to see what are the influencer’s best times to post, best days to post, best color palette and even what content performed well for them in the past so that you can create the best brief possible. Oh and you can find out their engagement rate, which if you want to work with an influencer, it should be at least above 3%! Anywho, that’s all the knowledge on Instagram analytics that we have to share for today. Come back again soon to read some more content – we upload new blogs three times a week. Here’s a good one – find out which Instagram niches were most popular last year!